Doesn't it feel good when you are cracking on with things and they are coming together? Well, I am on a roll with my latest drawings and have (wait for this Sheila!) actually started my pages for Sheila's grungy book swap. I have completed two, so only ten more to go! Never mind, at least I have made start. I've actually done two and a bit, as I have created a background for a third page as well. I have been working on drawings for the last few days and, late this afternoon, I decided that I needed a break from them. Just doing nothing would have made me feel very guilty, so doing a couple of the pages was a good option. It's been a quiet few days at home and I haven't been out since last weekend, except to the supermarket with David last night. It is nice to just stay in and pull up the drawbridge sometimes! I had a sudden urge for a bowl of soup and some crusty bread for dinner yesterday, so I chose a carton of New Covent Garden fresh Plum Tomato and Basil. I do recommend you try a bowl of this, as it was truly delicious and filling. I asked David to get me another for tonight, but they had sold out, so he picked another of their range...Jamaican jerk with Sweet Potato. Having read the ingredients, including tomato, coconut and nutmeg, I am looking forward to it. I'll let you know if it's any good! 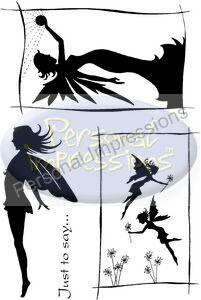 Here are a few more of my new stamp releases...the first two are from my Fairy Silhouette series, and you may have seen these on QVC as they were released on there first. They will be available in craft stores within the next few weeks. 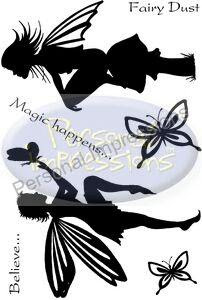 This first one is called "Magic Happens" (PICSA6134)..... .....and next is "Crystal Ball Fairy" (PICSA6137). They will, hopefully, be availbale from around the 23rd of this month, but don't quote me on that! 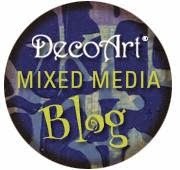 I have posted samples made from these in an earlier post, so, if you scroll back you can take a look at those and see how the images look when stamped up. 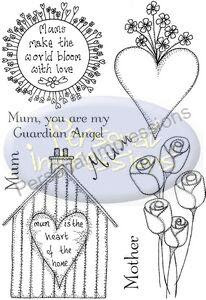 The last picture is of one of my Mother's day sets, which is called "Mum is the Heart..." (PICSA6211) and should be available from the 17th March. Of course, it doesn't only have to be for Mother's Day itself, but would equally suit a mum's birthday, or, even nicer I think, just a card to say thanks, or hello. Well, not a long post tonight and there is a bowl of soup with my name on it that is calling to me now, so I shall bid everyone goodnight and hope you all have a lovely, relaxing evening. Oh, just to say, the fairy card samples are in my September 2010 posts under the heading "Fairyland". Another lovely set of stamps there. Glad you are having a few days at home and enjoying a tiny bit of 'me' time. I've had that tomato soup. It's lovely but not sure about the jerk one. Far too hot for me. Magic happens indeed! These are beautiful - 23rd seems a long way away! !